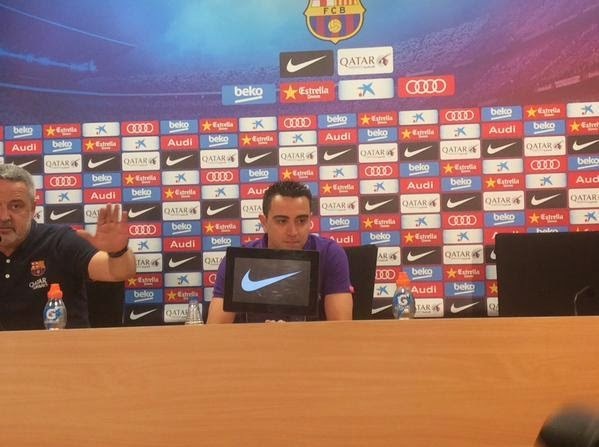 “It’s a definite decision but a difficult one.” Spanish legend, Xavi announces Barcelona exit. 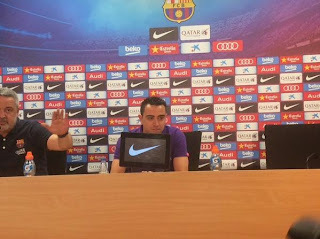 After spending two decades in the club, spanish midfield maestro Xavi Hernandez at a press conference today officially announced his exit from his childhood club, Barcelona FC. He will be moving to Al Sadd in Qatar. The 35-year-old joined the Blaugrana as an 11-year-old in 1991 before making his debut in 1998. 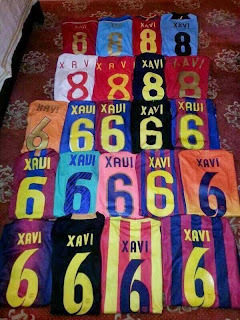 He has won 8 La Liga titles, 2 Spanish Cups and 3 Champions League trophies. “I would like to announce and confirm my departure from Barca at the end of the season. It’s a definite decision but a difficult one. “I’ve been at the club for almost 25 years but this is the time for me to leave. I have a thrilling project in Qatar, I will play for Al-Sadd the next two seasons. “I also have an enthusiastic project in the Aspire academy (a sporting academy based in Qatar). I will be able to work towards becoming a coach or a sporting director in the future. “My hope and aim is for one day to return to work for Barca. I did well to remain for another season even though I’ve had less playing time. Barca recently offered me a contract extension until June 2018 but the decision had been taken. I’m looking forward to lift the Liga trophy in front of the fans on Saturday. They’ve treated me incredibly, I want to say goodbye. A few teammates knew it already. Today, I’ve formally told it to the whole squad and the coach. But it was already clear for a while. But I’m perfectly happy. 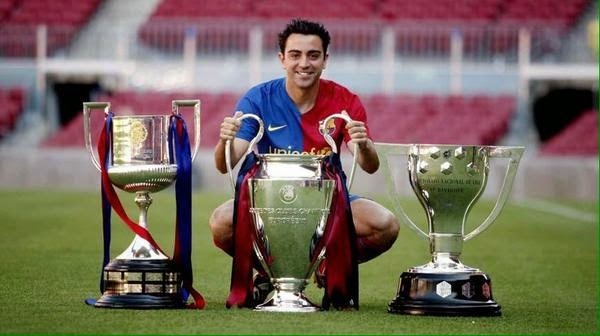 I’ve had the best career I could have at Barça. It hasn’t always been easy. There were a lot of doubters at the start. But I’m very stubborn, and very culer. I didn’t tell my mother about Barcelona’s renewal offer, because she’s an even bigger Barça fan than me. “I still have to talk with Guardiola about Qatar, we already exchanged some messages. I’ve already talked with Raul. It will be difficult to put on another shirt. I’ve worn the Barça shirt since I was 10-11. There are three games left now. NextAisha Falode’s daughter launches book in honour of late brother.